The West is happy, for now, to let the meter run on negotiations with Tehran. 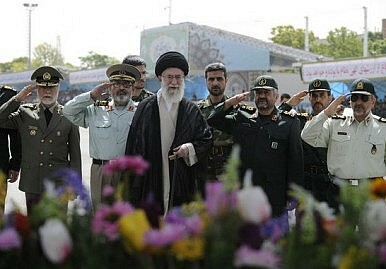 How high a price is Iran’s supreme leader willing to pay? The just-ended two days of talks between Iran and the P5+1 (the five permanent members of the U.N. Security Council plus Germany) at least ended up agreeing on one thing: both sides will meet again in June, in Moscow. That was one of the few things that they managed to find common ground on – with the two sides failing to reach an agreement about the cessation of Iran’s ongoing enrichment of uranium at 20 percent levels at Fordo as per the West’s wishes, while the P5+1 didn’t agree to the removal of unilateral Western sanctions against Iran’s oil and banking sector as per Iran’s wishes. Simply put, the two fell well short of the other side’s expectations. Iran insisted on its right to continue with enrichment of uranium as a signatory of the Non-Proliferation Treaty (NPT), while the P5+1 had no truck with Iran’s demands over sanctions, instead indicating it was willing to offer Iran assistance with safety at its reactors, and help its airline industry acquire spare parts for its commercial airliners. The P5+1 must surely be aware that Ayatollah Ali Khamenei is far from the only Iranian leader who would consider himself unable to accept such a deal, so why make such an offer in the first place? Why not place the onus on Iran by offering them something viable and attractive, such as the removal of banking and oil sanctions? Had Iran accepted such an offer, it would have been a breakthrough for the P5+1, as the most sensitive and dangerous part of Iran’s enrichment program would have come to a halt. And had Iran rejected such an offer, it would have isolated itself even more, while justifying the P5+1’s dual track of sanctions and diplomacy. Such an outcome would have been a win-win for the P5+1 – all the West had to do was make the offer. So why is it taking its time? And what does this strategy tell us? First and foremost, the fact that the P5+1 are in no hurry to make a viable offer to Iran is a clear sign that the Obama administration, as well as other members of the P5+1, don’ believe that Iran is making a bomb – at least not yet. Otherwise, a much better offer than the one made in Baghdad would have been made to stop enrichment at 20 percent now, before it’s too late. It also suggests that the P5+1 clearly believe that Israel isn’t going to attack Iran’s facilities this year, giving them more time to negotiate with Tehran. But the behavior of the P5+1 also indicates that they believe that sanctions are working, and that biding their time could therefore serve them better. Over the years, Iran has been accused of stalling at the talks to give it more time to develop its nuclear program. This was evident in 2011, when Iran wasn’t even willing to discuss its nuclear program with the P5+1. That same year, Iran made a great deal of progress in enriching uranium to 20 percent, which allowed Tehran to bypass the red lines that the West set for it with regards to enrichment.